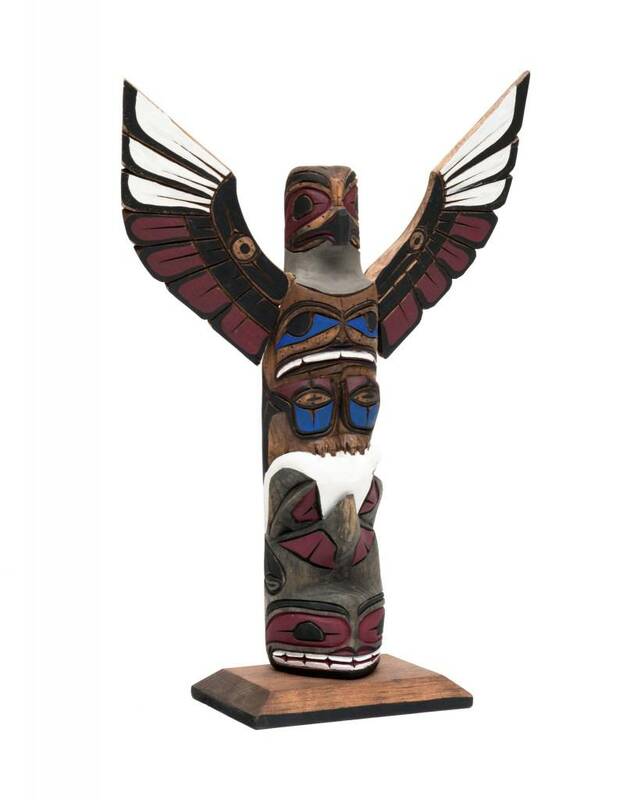 Home / 12" Totem Pole by Harvey Williams (Dididat). 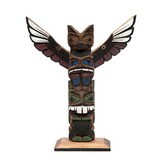 12" Totem Pole by Harvey Williams (Dididat). 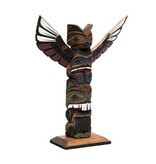 Harvey Williams was born in 1952, on the west coast of Vancouver Island, in the province of British Columbia, Canada. 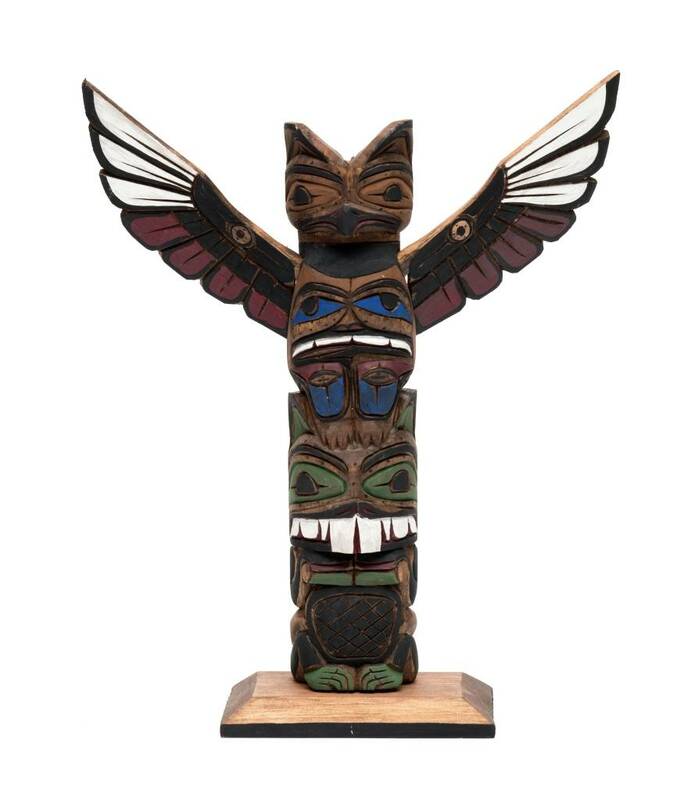 Harvey is part of the Nuu-cha-nulth (Nootka) Nation of the Pacific Northwest Coast Natives. Nuu-cha-nulth means 'people along the islands'. 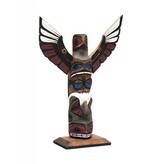 Harvey is from a well-known family of carvers who have distinguished themselves with their colourful totem poles. 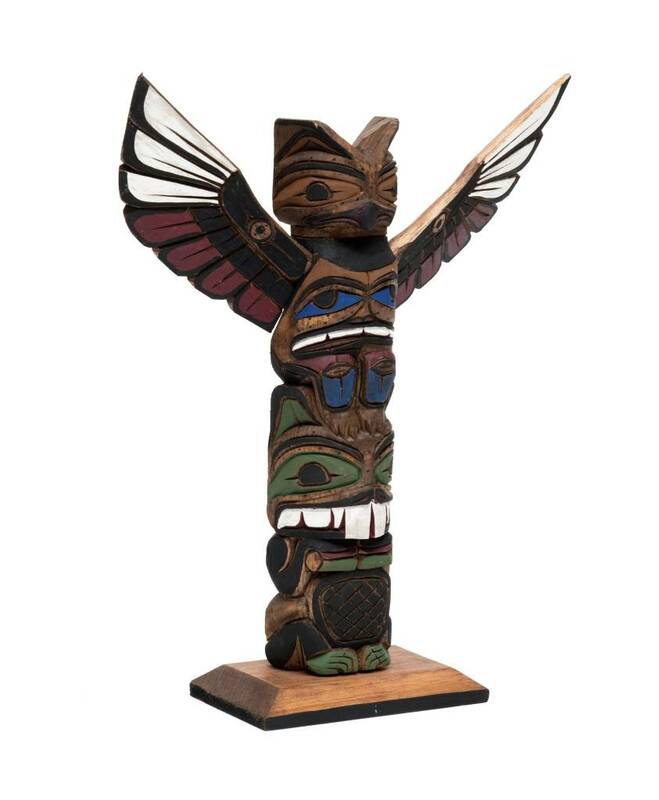 Harvey began to carve totems as a boy, and later branched off into silver and gold. 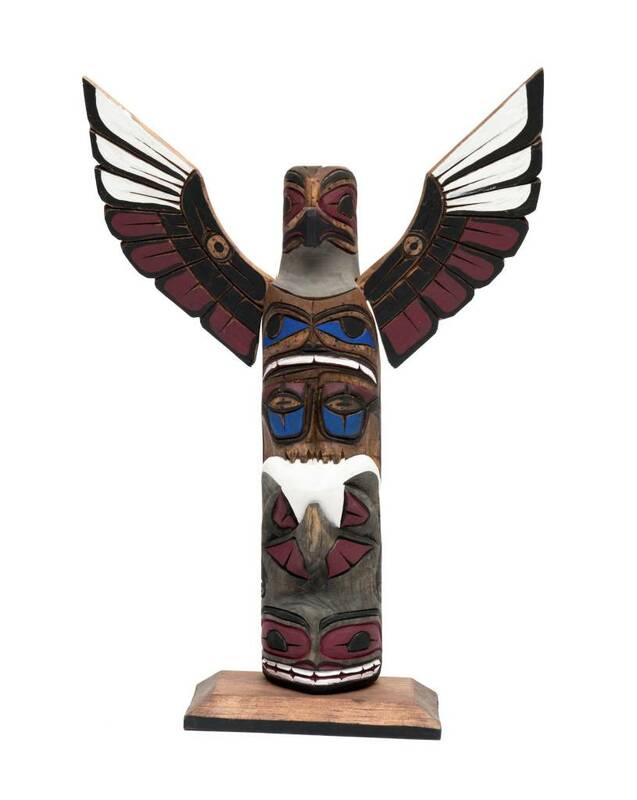 Harvey brings to his metal work the graphic style of his family and the Nuu-cha-nulth people. 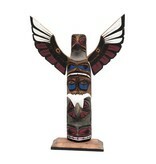 Click to read about west coast totem poles.